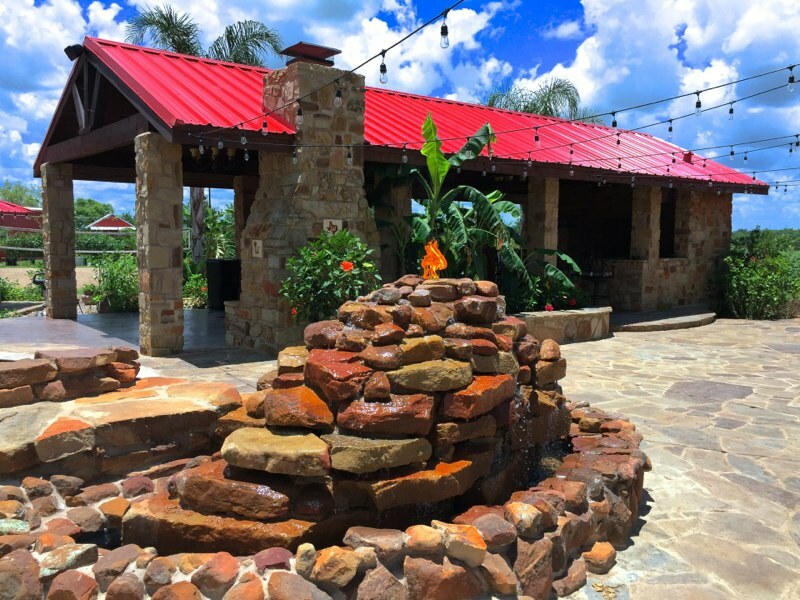 Here’s what you can enjoy when you have a beautiful exterior. You go on a holiday once in a while to view beautiful scenery, lush greenery and the natural beauty – why? It’s because it has a power to relieve your stress. But what if you get the same feeling every evening after returning home after a hectic day? A nicely developed outdoor with a great swimming pool with features you wanted can make your every evening a holiday and a great stress reliever. 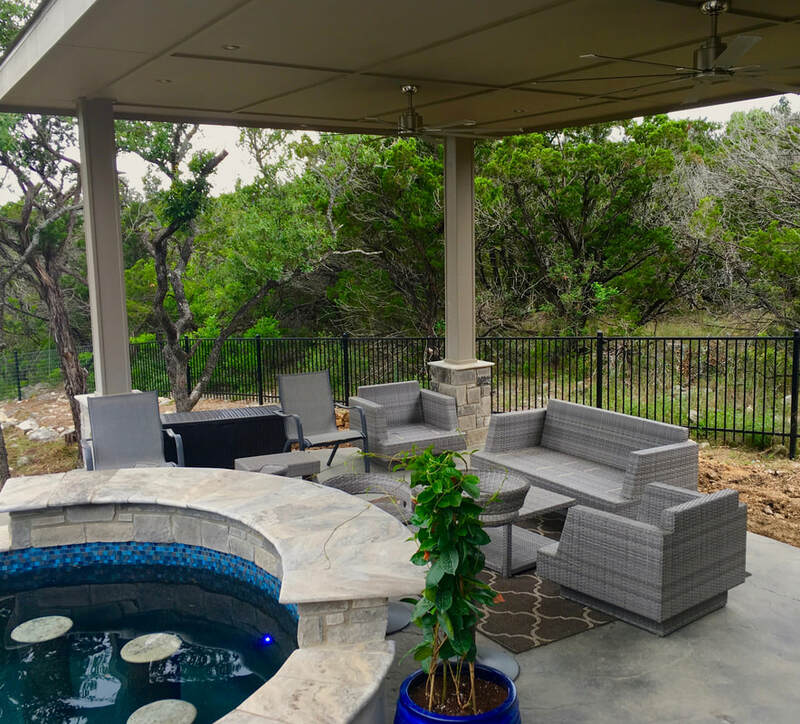 Not only you, but your entire family and even friends can enjoy a great time in the lovely surrounding you have created outside your home. There’s no greater joy than seeing your family and friends happy! Children can get utmost beautiful features to play with and grownups can spend quality time with each other, chatting and laughing. Besides having good time and get a great mental health, a swimming pool is also highly beneficial for your physical health because you can exercise in water. Since water is much denser than air, workouts done in it can burn more calories. Remember that swimming is one of the best full-body cardio workouts. 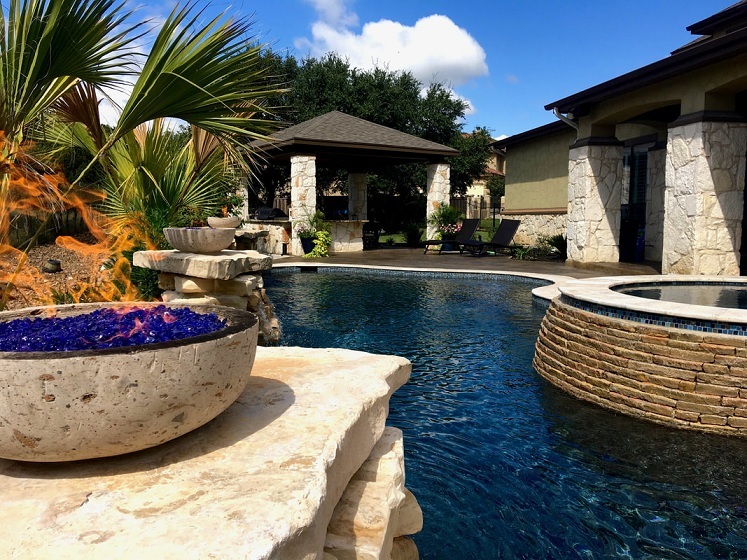 Instead of buying a home with a swimming pool and exterior features already in place, having a custom pool and outdoor structures as per your own dreams is anytime wonderful. 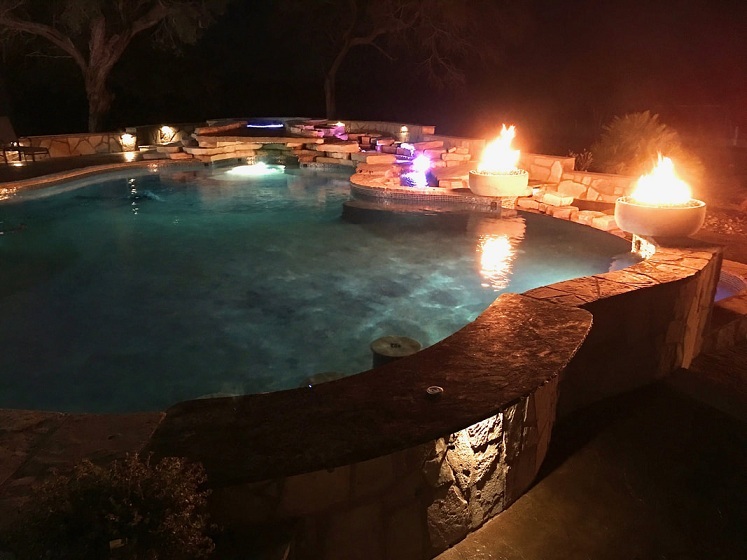 Whether you want water fire features, grottos and caves, spas or any other creative outdoor features, you can have them with your custom design. 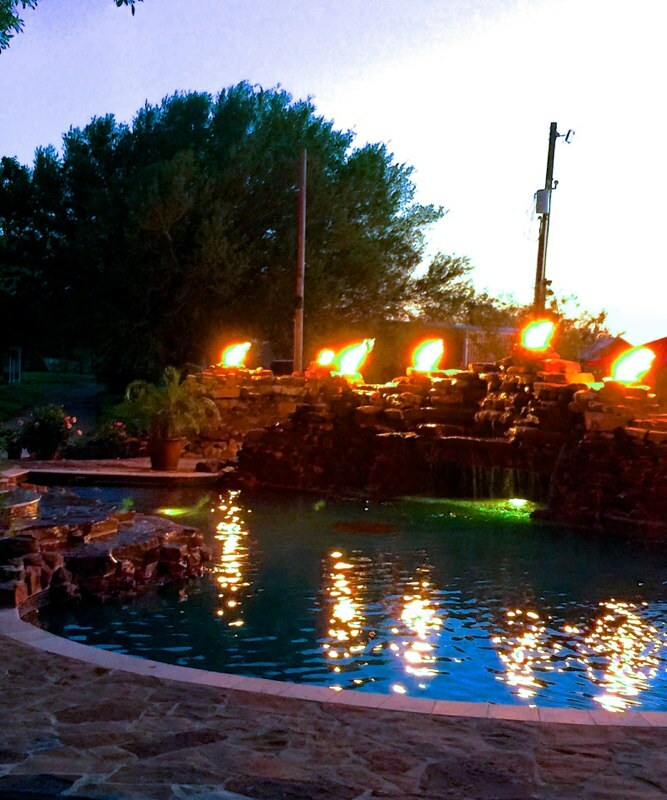 Water Rock is a San Antonio Pool Builder focusing on highly customized pool and outdoor living projects. Right from the time when their owner Jeff Herman started the business in the 90s, they are known for their premium craftsmanship and skills in accomplishing structural and aesthetic challenges. You can see some of their entrancing creations here and many more on their website. 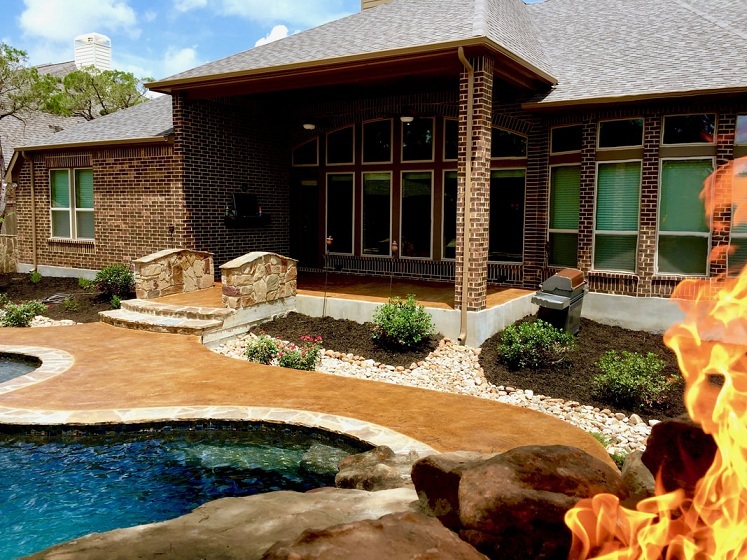 Here are some ideas you can use to develop your exterior into a small heaven with their help. An infinity pool can create an amazing visual effect, forming a glass-like surface and an impression that your pool has stretched far into infinity. Grottos and caves are not only great aesthetic features you can have in your swimming pool, but will also give you and your guests relief from the hot sun for some time besides re-enjoying the childhood fun of hiding in secret places! They can be coupled with cascading waterfalls to offer extreme pleasure to your senses. 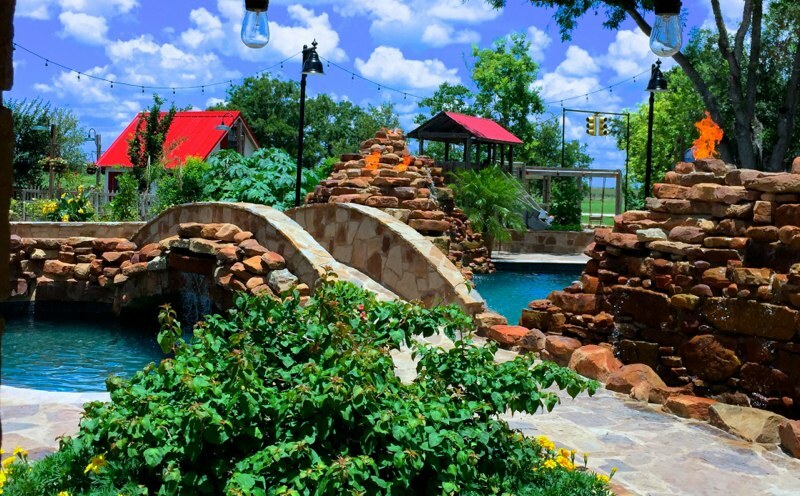 To amp up the excitement of children and grownups alike, you can even include waterslides to your custom pool. Free-flowing waterslides with fully drenching sliders and some extra curves can bring waterpark-quality fun to your pool that everyone would like to enjoy. 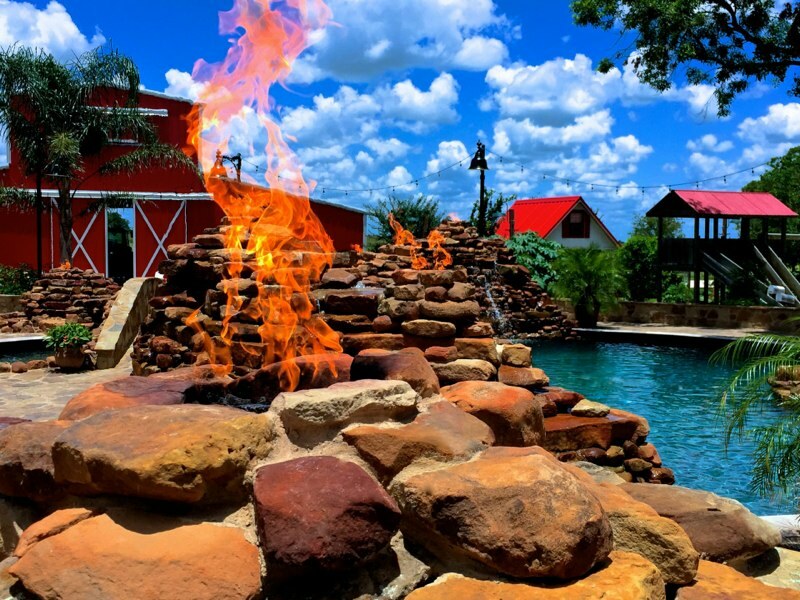 Incorporating fire features to your exterior along with water is something extremely amazing. 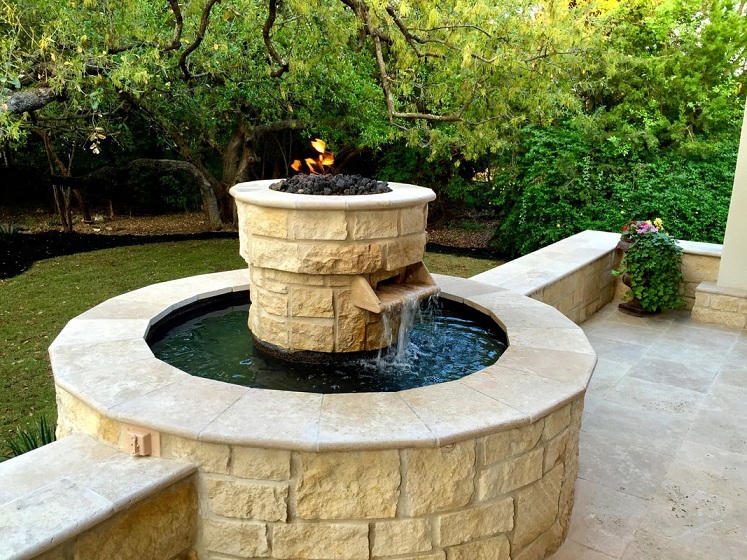 There are so many ideas of water and fire features that Water Rock, the San Antonio Pool Builder, can give you, including concrete fire pits that has cooking gel as fuel to facilitate toasting marshmallows and having the fun of outdoor cooking, flowerpot fountains, Zen water fountain with tiers with one or more tiers with LED lights, clay fireplaces, terra cota flowerpot fountains, wood-burning fire pits, solar fountains that require no electrical outlets, bamboo fountains and many more. By now if you were confused regarding decorating your exterior, hopefully now you are more confident about doing it. 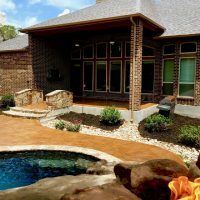 So, have you started planning for a great custom pool and outdoor?